So I don't know if you've played Dixit with me before, but it's a pretty fun party game. You can read my review if you want, but that's not the point of this post. 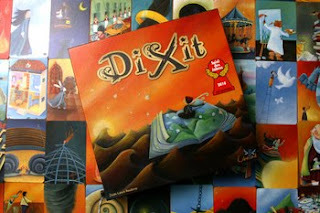 Dixit is a party game that comes with 84 big, really cool cards with paintings on them. You can get it on Amazon for like 25 bucks with free shipping. So here's the thing. If you preordered the expansion, Dixit 2, the company gave you a promo card for free. 1 card. It doesn't change anything about how the game plays, it's just one extra card that you can describe. But you can't get it anymore. So let's say it's 2011 and you ordered Dixit 1 and Dixit 2 on Amazon. You've got a total of 168 cards but you don't have this one card. EBay does though. How much do you think people would pay for one card? I've seen a bunch of these auctions and they always go for this much. I mean, come on, you could buy a brand new game for this much. Edit: The Dunwich Horror expansion for Arkham Horror (great game) is currently out of print and will be reprinted. But in the meantime, if you want a copy it'll be like $125.00 to get your copy (normally, like $30-$35). I'm going to paste an AnnArbor.com story here. You can see the post on their site too. A female University of Michigan student fought off a man who grabbed her Thursday night while she was walking off campus in the 1300 block of Hill Street, a university crime alert said. According to the alert, the victim was walking at about 11:35 p.m. when a man grabbed her from behind. She elbowed him, prompting him to leave the area, the alert said. The victim was not injured. According to the alert, the man was seen heading toward Cambridge Street. Ann Arbor police are investigating. The man was described as white and 6-foot-1. He was wearing a black puffy coat and gray hooded sweatshirt pulled over much of his face, the alert said." K, got it? A simple story about an event that happened, written up to include what little information the crime alert had given. What do you think the comments are about? Did people comment about if people should carry pepper spray? Sure. That would make sense. That's relevant. Did someone point out that this was hours after the Take Back the Night rally on the Diag? Yes. 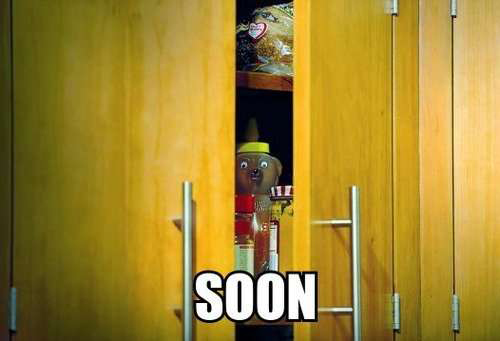 Also relevant. Seriously, you have got to be the most stubborn and for lack of a better term "writer" in the history of journalism, if we can stretch the word journalism to include AA.com. What does where this victim attends school have to do with this story. On a regular basis you attempt to degrade our local universities and its hard to understand why. Were you not admitted to UofM do you hate EMU for some reason. Here is an acceptable headline, "Woman fights off attacker on Hill Street". Where this woman attends school has as much to do with the story as perhaps where she works, her religion or maybe her favorite ice cream flavor. How about this headline "fan of cherry garcia ben and jerry's ice cream attacked on hill street" oh wait that is irrelavent. Hmmm I wonder if your bosses read these stories or if they just pay you to publish nonsense. Either way you have no journalistic integrity and should seek other endeavors." You'd be surprised how many commenters out there think that AA.com has some sort of agenda to it and that anything they do is a sign that they are terrible journalists. The comment is longer than the story itself. Anyhow though, if you thought that comment was bad, here's something that far surpasses it. "For a long time I thought how excellent it is to live in a country where you can go to bed at night not worrying about a rocket coming through your window. But, really, except in scale, what's the difference between living in a land where there are terrorists shooting rockets at your house and living in a land where there are terrorists who grab you on the street? I don't know how people can go through life getting so offended and up in arms about everything. You'd think it would get tiring. The comments are definitely one of the more entertaining aspects of reading AA.com for me. There are definitely articles I click on just because I know people are going to be ridiculous.